[prMac.com] Fremont, California - Flutterbud Inc. today is proud to announce the release of Flutterbud 1.0.2, the company's new video recording app developed exclusively for iPhone, iPad and iPod touch devices. Flutterbud provides the users a unique way to record and share videos - precisely when they want to. Free to use and download, Flutterbud enables people to record a video and schedule a 'showtime.' The video can only be viewed after the time set by the user. This makes it perfect for sending messages, reminders, specific content, or sharing a special announcement. "Since videos can be made in advance and scheduled for a specific time, it is the ideal way to record and send birthday, anniversary, or other good wishes," said the app's designer, entrepreneur Vikrant Ramteke. "The options are limited only by your imagination and creativity." The founders of Flutterbud are serial entrepreneurs and their company, Totspot, which sold fashion for kids and families, was recently acquired by Poshmark. To use Flutterbud, users simply create an account. They can then choose to import personal contacts from their mobile device or invite specific connections or contacts to join their video shows or enjoy Flutterbud's services along with them. When a video is made, the user creates their very own 'showtime' for friends and family and the video can only be viewed by the contact or contacts which are specified by the user. 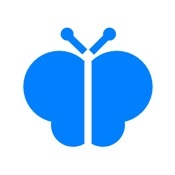 Flutterbud 1.0.2 is Free and available worldwide exclusively through the App Store in the Photo & Video category. For more information, please contact Vikrant Ramteke. Flutterbud Inc. was founded in Jan 2017 in Fremont, California by Vikrant Ramteke who is a serial entrepreneur and has worked extensively on developing consumer products. His previous startup Totspot was acquired by Poshmark Inc in 2016. Flutterbud introduces a new way to publish videos and promises to revolutionize video blogging. All Material and Software (C) Copyright 2017 Flutterbud Inc. All Rights Reserved. Apple, the Apple logo, iPhone, iPod and iPad are registered trademarks of Apple Inc. in the U.S. and/or other countries. Other trademarks and registered trademarks may be the property of their respective owners.